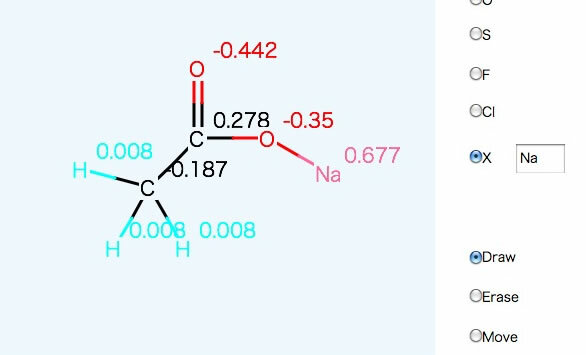 Rappe and Goddard have proposed the Charge Equilibration (QEq) approach for predicting charge distribution to the each atom that compose molecule. This distribution depends upon molecular 3 dimensional geometry. But if charge is distributed via bond, I can handle QEQ method very roughly. 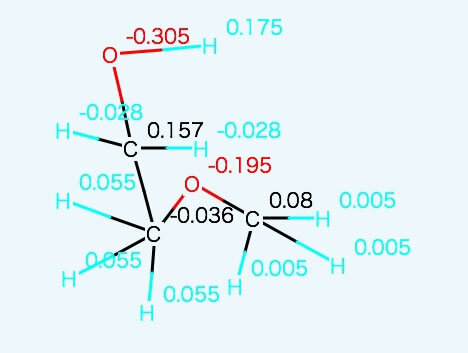 I need only, Atom type(H to Lr), bond type (Sigle bond to triple bond), IP(Ionization Potential) and EA(Electron Affinity) I can easily calculate atomic charge. Please refer to How to build molecule. 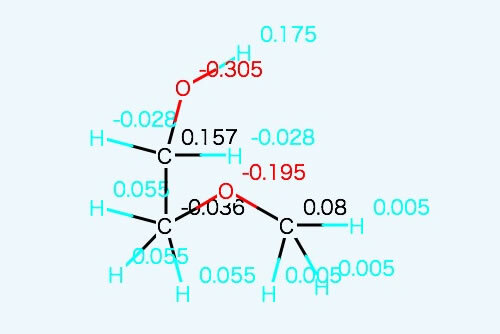 You need append Hydrogen properly, and check multiple bond. 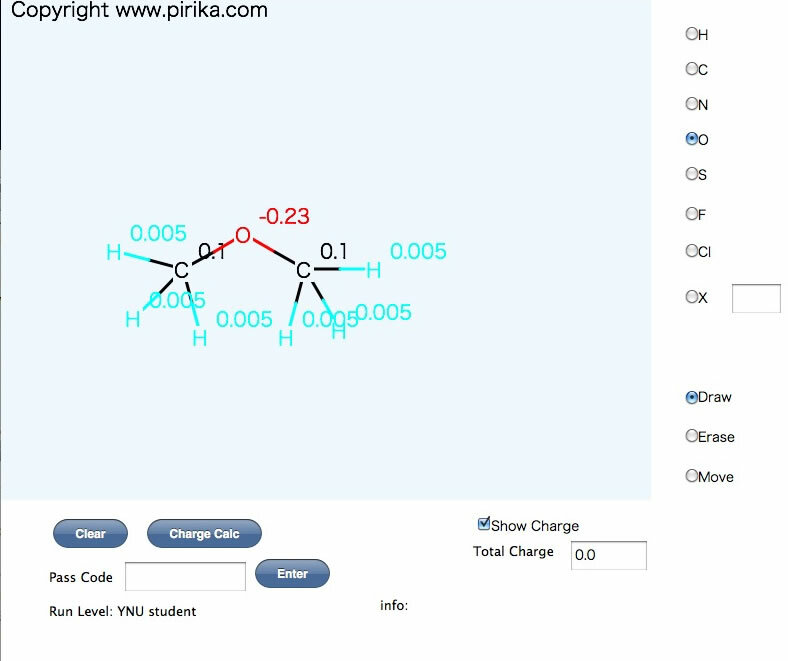 If you draw complex molecule, charge value are overlap. In that case, select Move mode and push mouse on one atom. And keep mouse button pushed, drag to other position. Then release mouse. Only that atom will move. 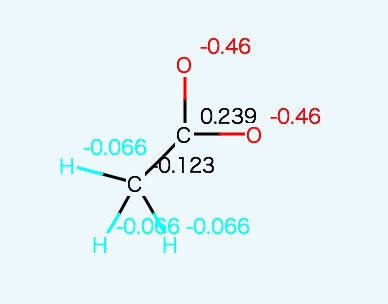 If you assign Total charge -1.0, and calculate Acetic Acid ion, result become like this. I build many functional groups base properties estimation method. One of the great problem is connectivity. 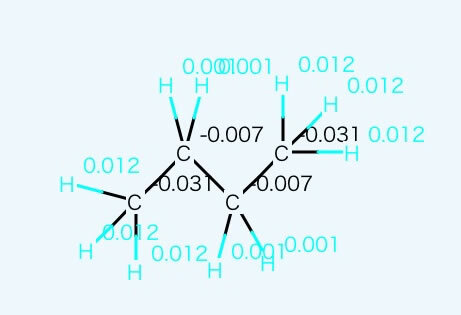 if I make CH3CH2 parameter from Butane, CH3CH2 become very non-polar functional group. 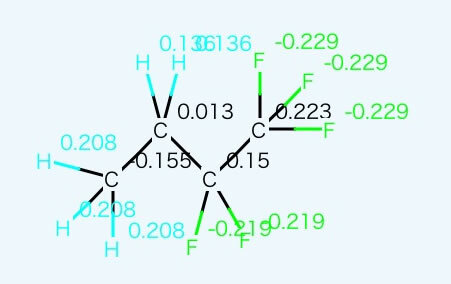 CF3CF2 functional group is also non-polar FG. 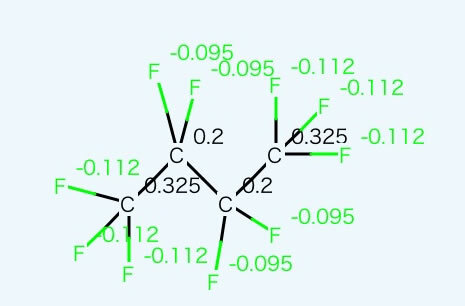 But conbination of CH3CH2-CF2CF3 that is not non-polar. 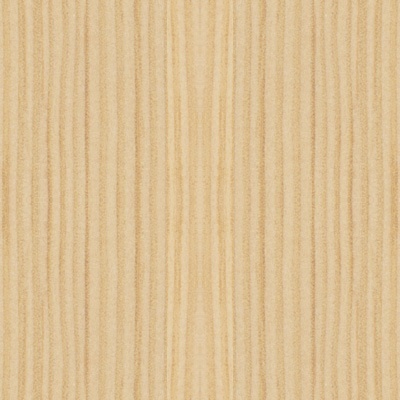 You can easily find out from QEQ calculation. So this calculation is very important from proerties estimation point of view.